The 3-D viewer helps with understanding the height of objects within a model, which is important because height makes a great difference to noise propagation. 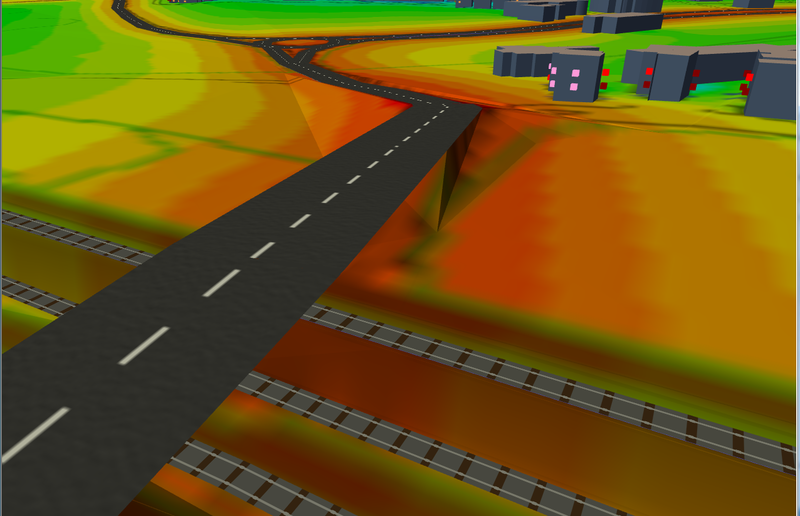 Here we have a perspective (3-D) view of a road passing on a bridge over a railway. Two railway lines are in a cutting. The ground is coloured according to noise from the road. 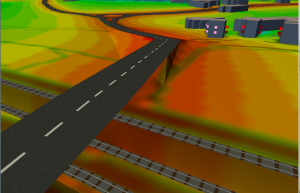 The user can ‘fly through’ the model on-screen and examine every aspect of it. Because noise contours and receiver noise levels have been calculated, these are also shown in the 3-D view. 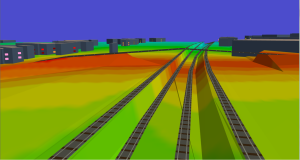 This makes it far easier to appreciate the noise impact of a scheme, or to check for modelling errors, although it may take some time to generate the ‘solid’ 3-D model, as this requires a complex mathematical process. 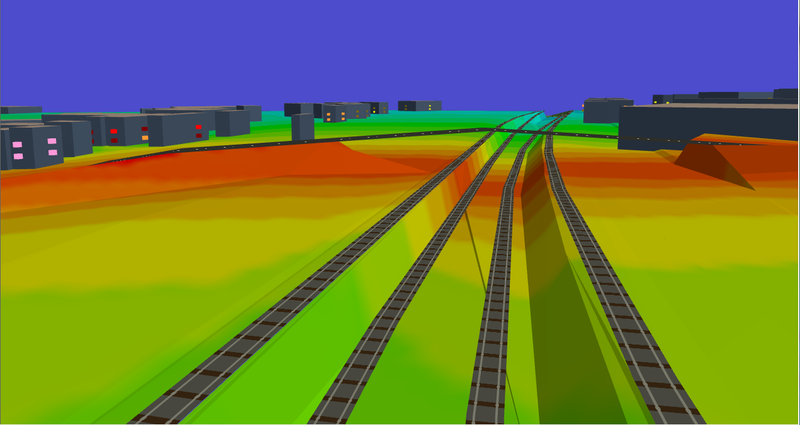 Below, the figure shows the plan view of the road passing over the railway but it is hard to see this in the plan view. Below, the 3-D view makes the height of objects clear. 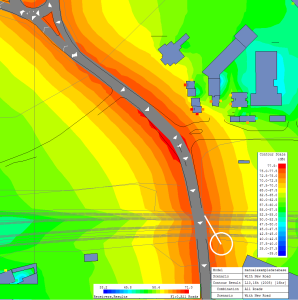 It also shows the noise levels at receiver points at various heights on adjacent buildings. The viewpoint is shown by the white pointer in the plan view above.